New York : Spiegel & Grau, 2015.
xiv, 349 p. ; 21 cm. The founder of the Equal Justice Initiative in Montgomery, Alabama, recounts his experiences as a lawyer working to assist those desperately in need, reflecting on his pursuit of the ideal of compassion in American justice. 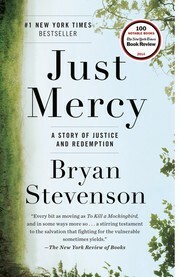 Just mercy : a story of justice and redemption / Bryan Stevenson. Criminal justice, Administration of--United States. 100 Personl Name ME 1 $a Personal name Stevenson, Bryan. 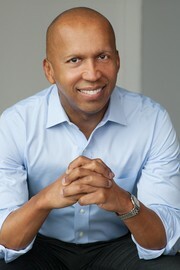 $c Statement of responsibility Bryan Stevenson. 250 Edition $a Edition statement 2015 Spiegel & Grau trade pbk. ed. 260 PublicationInfo $c Date of publication, dist, etc Â©2014. 504 BibliogEtcNote $a Bibliography, etc. note Includes bibliographical references (p. 321-338) and index. 505 ContentsNote 0 $a Formatted contents note Introduction : higher ground -- Mockingbird players -- Stand -- Trials and tribulation -- The old rugged cross -- Of the coming of John -- Surely doomed -- Justice denied -- All God&apos;s children -- I&apos;m here -- Mitigation -- I&apos;ll fly away -- Mother, mother -- Recovery -- Cruel and unusual -- Broken -- The stonecatchers&apos; song of sorrow -- Epilogue. 520 Summary Etc. $a Summary, etc. note The founder of the Equal Justice Initiative in Montgomery, Alabama, recounts his experiences as a lawyer working to assist those desperately in need, reflecting on his pursuit of the ideal of compassion in American justice. 600 Subj:Name 10 $a Topical heading Stevenson, Bryan. 610 AE:CorpName 20 $a Name Equal Justice Initiative. 650 Subj:Topic 1 $a Source other than LC Discrimination.